B had a NDE or a near NDE experience. He had been praying for guidance. He had a date to be baptized and he wanted to make sure he was making the correct decision. He went to sleep and was awoken by an Angel next to his bed. B’s vision is derived from the NDERF.org (Near Death Experiences Research Foundation) website, which contains many accounts of NDEs experienced by people of every country, language and culture. B had asked for guidance and now it would be presented to him. In reading his account, he never said he had a Near Death Experience, no medical emergency or brush with death that could have triggered his vision he had that night. Many could say he made all of this up. But when you examine what he was told, the details of the spirit universe, his relation to the spirit world, and many other salient points, they all correspond to what has been revealed by Spiritist literature. Whether by Allan Kardec, the codifier of Spiritism, or by Francisco (Chico) C. Xavier, who psychographed (written under the direction of a spirit) more than 450 books, all detailing information that we on earth need to know to live our lives as God intends us. B saw his body, his physical self never woke, only his spirit. B didn’t notice a silvery cord attaching his spirit to his body. Keep in mind, as B roams the spirit universe, the cord will stretch for an infinite length. We on earth are made up of three distinct parts. First is our spirit, that ball of energy, which contains all of the memories of our past lives, down to each microsecond, of what we saw, heard, felt, smelled, and thought. Even what others around us were thinking. Next, is our physical body. That organic machine which is manufactured inside our mother’s body and while inside the womb, our spirit merges with the fetus. Our dense human form is a poor receptacle for our spirit. It is meant to be. For in human form we are destined to be exposed to a thousand distractions. All intended to train us for future trials. The perispirit is the connection from our spirit to our body. 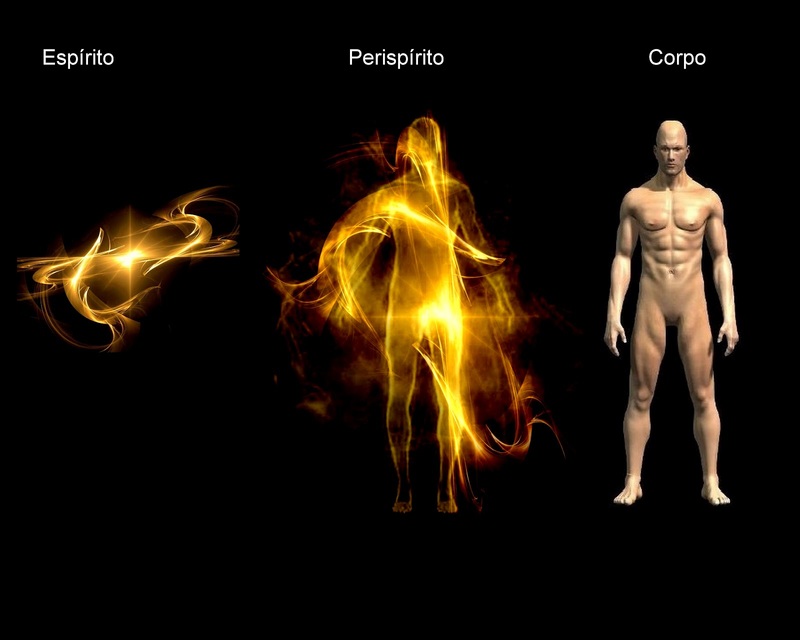 The perispirit invisibly surrounds our body and transmits our thoughts, and vital signs to our spirit. We receive data from our spirit, but given the primitive capabilities of our brain, we retain and understand a small percent. The perispirit has a built-in timer. It connects our spirit to our body until the date when we are due to return to the spirit world. The date may move out, according to our deeds and actions, but we are not allowed to end our life early. If we do, the perispirit persists in connecting to the physical body, even as our spirit is free and our body decomposes. We are not free to ascend to heaven until our agreed upon expiration date. Until then, we must stay in the Lower Zone. Next B states his angel took him to upper regions of hell, to demonstrate the contrast between the consequences of a life lived in the pursuit of attempting to improve yourself, by learning to love others, be fraternal, and honest with all, as opposed to taking what you can for your own selfish reasons. B doesn’t describe hell in his account. Spiritism tells us what hell is. The area around the earth, just below the surface is the higher region of hell, the lower one travels the worse the conditions. 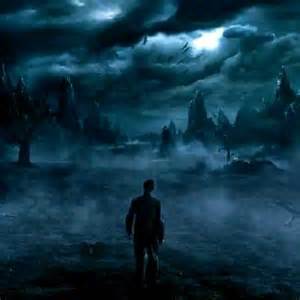 Hell is not a sentence for eternity, but one where people who have lived a dishonorable or wholly materialistic life, journey to after death. It is a place where a person lives amongst those similar to him or herself. What you have sown, you reap in hell. Escaping hell is straightforward, but not easy for many. To flee the region where others treat you like you have treated others in your earthly life, you must transform your attitude. From selfishness to selflessness. From hate and anger to love and compassion. Once higher spirits detect your willingness and desire to change, you will be assisted and guided out of the abyss. “It is all a learning experience”, this, in a nutshell is the reason we suffer through life, with good and bad times. The reason why there is so much evil in the world. The reason why bad things happen to good people. The reason for injustice. The reason for poverty, inequality, corruption, and prejudice. Imagine if you were forced to live in a school with mostly uncontrollable seventh and eighth graders. No staff or teachers present. It would degrade into a nightmare in a blink of an eye. Actually, you don’t have to imagine it, this is where you are living. As we look upon that chaotic school full of unruly children, this is how the spirit world looks upon us. Through our own behavior we have made the earth what it is. All is not lost, for we are not abandoned and left to fend for ourselves. Invisible to us, there is an army of spirits watching and guiding our every move. Examining how we are proceeding in our custom tailored lesson plans. The Supreme Intelligence fully realizes we are not able to absorb the lesson of the light in just one life. To internalize the need for love and compassion for all takes many lives. Hence, after each life, our grades are compiled and deeds taken into account, to create the plan for the next life. Where we will have to live on the other side of whatever ignoble act we committed, so we may comprehend the true pain we caused. If you would like to learn more about reincarnation, how we are part of the planning for our next life and how we are assisted during our stay on earth, read my book, The Case for Reincarnation – Your Path to Perfection. Doesn’t seem like a great place does it? The Lower Zone is composed of many areas. Not just a strange dark dimension that exists parallel to our own, but also right here, on the surface of the earth. In the book, Memoirs of a Suicide, by Yvonne A. Pereira, the main protagonist of the book, Camilo Castelo Branco, who committed suicide when he was going blind because of syphilis, describes what it was like awaking in the graveyard where he was buried. Hence, Camilo, while his body, six feet underground, was deteriorating, felt he was alive, with all of the loneliness, pain and suffering it entails. Walking on the face of the earth, while incarnate visitors to familial graves passed through him, oblivious to his sufferings. Camilo then left the cemetery, trying to ascertain what was this world that he had died into? The Lower Zone is all around us, teeming with life, not of the benevolent kind. The type of life that we discarded as childish fears long ago. That our rational minds refused to consider, since we could neither see nor touch it. If there are multiple instances of unexplainable phenomena, unless we have positive proof, or see it on television or the internet, we are labeled fools to believe its existence. Exists it does and it is there for a purpose. While we must go through trials in our physical life, in order to learn the valuable lessons assigned to us. Once we end our studies; does everyone pass? No matter how pitiful our performance was? We aren’t in a local kindergarten class where each participant gets a ribbon. God is love, and love can be tough love, the love that holds us to a high standard. A raised bar that ensures only those who meet the minimum criteria are allowed to enter the higher planes. Thankfully, all who reside and wallow in criminality or mindless materialism with their sights set on earth are rescued in time. All spirits are given the required period and assistance to slowly modify their behavior and attitudes to begin to look upwards and work themselves out of the pit and into their rightful place in a celestial city. 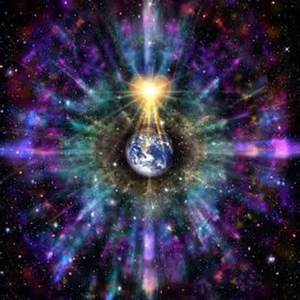 The vibrations emanating from each planet is the result of the type of life which resides there. The first question that would come into anyone’s rational mind is: How can there be life throughout the solar system? We have had satellites explore every planet and many moons from the sun to Pluto. No sign of intelligent life has presented itself. Life is prevalent all around us, spirits, high and low are constantly within our midst. They exist on a new plane, a dimension we can’t detect. In the same manner, different physical life colonizes other planets in alternate dimensions. Neither our telescopes nor electronic exploration devices have the capacity to peer beyond our dimension. To understand the above, one must understand the progression of planets. In the book, The Gospel According to Spiritism, by Allan Kardec, in Chapter 3, there is an explanation of the different worlds that spirits will inhabit during their long trek toward purification. I will present just a quick summary here, in my book, Explore Your Destiny – Since Your Life’s Path is (mostly) Predetermined, there is a fuller explanation of what has been revealed to us by the spirit realm. Primitive World – Intended for the first incarnations of the human soul. The beings that inhabit them are, to a certain extent, rudimentary. They have the human form but are devoid of any beauty. Their instincts are not tempered by any sentiment of refinement or benevolence, or by any notions of right or wrong. Brute force is the only law. With no industry or inventions, they spend life in conquest of food. The earth was once a primitive world. World of Trial and Expiation – You are living on this world. There is more evil present than good. Now you know why life is not easy, because it is not supposed to be while you are reincarnated on the planet Earth. Regenerative World – Where souls still have something to expiate (pay off the debt of a past sin) and may absorb new strength by resting from the fatigue of struggle. There is still evil, but much reduced, the good outweighs the evil, consequently there is no motive for hatred or discord. Happy Worlds – Where good outweighs evil. On Happy Worlds, we still retain our human form, although the senses are more acute. Heavenly or Divine Worlds – Where good reigns completely, all inhabitants are purified spirits. There is no evil. Hence, Saturn, a world on a level above the earth, had a more pleasant vibration. Planets where there are a majority of mature spirits, who live selflessly and strive to be kind and considerate to all, contain people who are happier and more content. One day, as the human race grows and advances, the earth too, will become a better place to live. In the compilation of four books, The Life Beyond the Veil, in Book One – The Lowlands of Heaven. Written by G. Vale Owen in 1920 during a sequence of sittings receiving messages from his mother and other spirits, he was able to document where his mother was living. As revealed by the Doctrine of Spiritism, brought to us by Allan Kardec in the 1850’s, when we leave this life, it is not for an eternity of idleness. We continue to work, otherwise our boredom would really be hell. Owen’s mother talks about an ‘apparatus’ to help in their work. According to Spiritist writings by Francisco (Chico) C. Xavier, the first level of heaven in the spirit world is fifty to hundred years advanced in technology than we are on earth. Hence, I surmise she is describing a type of computer terminal, since she certainly did not use the word typewriter in her prose. These devices are also mentioned in Chico’s book, dictated by the spirit of Andre Luiz, Nosso Lar, published in 1944. Along with ‘personal communication devices’ aka cell phones. Again the beauty of the grounds and the ability of foliage to glow is also recorded in much of Spiritist literature. Everything in the celestial levels of the spirit realm is a mirror of earth but more perfect, more complete and more in tune with the harmony and vibrations of those around it. Hence, it is not by the processing of raw materials coupled with the labor of workers that a house or a grand temple is constructed. But with the mind of a high spirit, who gathers, by the force of their resolve, using Divine Laws, to accumulate material from the ether of the universe, called Universal Fluid, to form the edifices. Owen’s mother also goes on to recount how the color of their clothes is governed by the combination of the surrounding atmosphere and each individual’s spiritual quality. Therefore, as people walk around the gardens, their garments change color. The main theme is that the spirit world is full of life, from floral to fauna all in astonishing harmony. Achieving a type of perfection that we can only dream of while encased in our physical bodies on earth. The Supreme Intelligence has created a universe based on love. When one of us returns, our intimate loved ones are notified of our presence. They are there to meet us because they too have had to live through years encased in a dense body covering. They too, have had to fight through a myriad of lessons. They too, have had to look back at their life at the end of their trials and sum up the good and the bad. 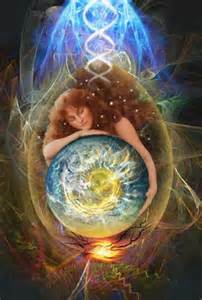 Our family in the spirit world fully realize the grief, the pain, the joy of our physical existence. They know, upon reentry, we are somewhat confused and lacking our full capabilities. When B mentions that he could not see his family’s faces, it is not because they are undefined balls of light. His coterie of friends saw each other not in their original human form, but in their idealized shape. When we return to the real world, the spirit world, we determine our appearance and age by our thoughts. All of the spirits there could see B as he was. And they could see each other as each person thought of him or herself. But B couldn’t detect them, he was still attached to his material life and he didn’t yet have the capacity to detect their true form. Heaven has many levels, as one proceeds upwards, your body becomes less matter and more energy. A soul on the first level of heaven would either see just light in a much higher level or nothing at all. They wouldn’t have the required spiritual development to fully comprehend the rarified air of a vastly superior level of heaven. As this is the reason why we toil away on earth, so we may accumulate the wisdom, the prerequisite lessons, so we may ascend to higher and higher stages of heaven. Each step brings its own wonderments and associated supremacy. Angels are incredibly powerful beings. We are being trained, through difficult and harsh trials to become an angel one day. 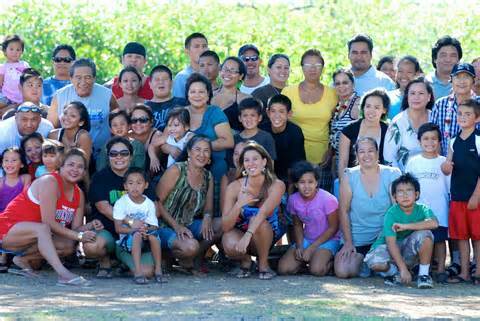 When B returns permanently to heaven, after a period of recuperation, he will be able to see “in the flesh” what his family actually looks like. B also encounters a person he does not immediately recognize, but he “knows” him, he feels an instant affinity. This is because B’s instincts tell him that he has had previous experiences with this person before and they have been positive. He feels in his heart, this person is close to him and they share the same points of view. All these thoughts and feelings are rushing around B’s mind because of what God has allowed to take with us when we incarnate on a planet. We have our conscience, which is the set of Divine Laws, so we know right from wrong, and we have our instincts. That feeling when something or someone radiates warning or welcoming signs. When you meet a person and feel an instant affinity, that usually means you have known that person from a past life or life in the spirit world. 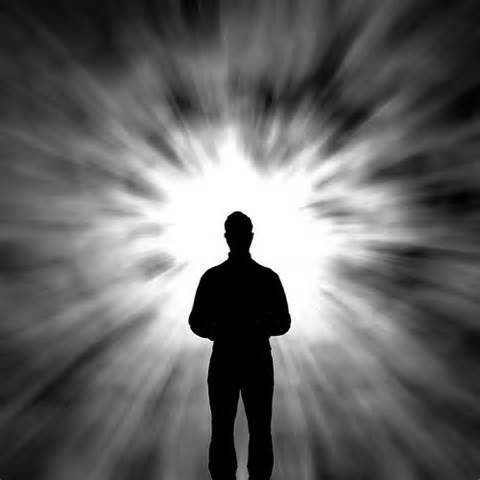 When B returns to the spirit world and he is spiritually ready he will gradually find the memories of friends in the spirit world and of past lives coming back to him. Remembering you past life when you transition to the spirit realm may not be possible until your mind is free of guilt. Hence, our wrongs persist in so many ways, not only must we come back and pay our debts, but even our capabilities are diminished in the spirit world. The penalty for rationalizing away what your conscience tells you is not pleasant. If there is only one main idea a person derives from Spiritism, it should be that no short-term benefit is worth violating what you know is wrong, no matter how enticing the lure of luxury or the size of the treasure, they all are not comparable to the eventual price that must be paid. After B’s meeting with his family, he was escorted to a room where there were two high spirits. In B’s view, they had white hair and white beards. B was there for a reason, the spirit world desired that he understood how close the spirit world watches us on earth. What is empathy without judgement in practice? 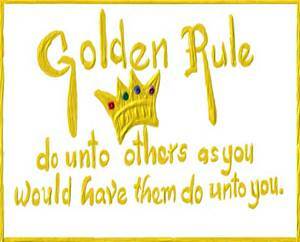 It is the Golden Rule. Do unto others as you would have others do unto you. It’s that simple. You treat all with respect and kindness, even though you may think they don’t deserve it. We can’t know their inner demons or the trials they are having to travel through. The major revelation is that the spirit world knows all, just not what we say or do, but our thoughts as well. As our parents told us and we tell our children, God is always watching. We grow out of that fear. We rationalize that our own insignificance makes us too small of a person to follow. How can we be important to the Divine in this vast universe? The answer is that we are, each one of us is vital. Each one of us is loved. To learn just how closely the spirit realm watches over us and guides us, read the book, 7 Tenets of Spiritism – How They Impact Your Daily Life. You will recognize what were, at the time, trivial events, that help shaped your life and propel you to the trials you are in the midst of now. As fantastic as B’s journey was, he was gifted with even more. B writes that Jesus came to him. He could feel the power of Jesus. Then B describes what Jesus wore, a white robe, with a sash, a golden ribbon from his shoulder to his waist. B saw his bare feet, the color of golden brown. This description corresponds to the image reported by G. Vale Owen in his communications from higher spirits. They paint a picture of a powerful spirit, who has compassion and love in every fiber of his body. They also tell of his simple dress with a sash and bare feet. “Jesus started to tell me of things to come and what to look out for in my life time. I received a totally immersed vision from him similar to the life review experience. Jesus went into detail about the new currency bartering system that the governments with impose on every one on Earth. Stage 1: Micro-chipping for “personal security identification” will be used for healthcare and eventually for currency/bartering. This all happened to B in 1993. The idea of planting a device in every person doesn’t sound farfetched today. 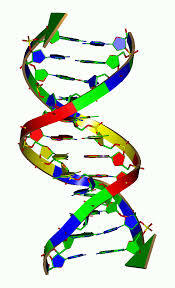 Nanotechnology and interpreting DNA are both growing by leaps and bounds. Whereas, if you had heard this in the early nineties most of us would have been incredulous. B wrote that everything he was told about his own career came true. I believe him, because I was told details about my future trajectory that I dismissed out of hand as being too improbable. They all came true. How else could this happen if it wasn’t for the spirit world planning out our trials on earth. The earth is a learning experience and we are the students who have been sent here. Our life isn’t a series of happenstances, where life paths are determined by the roll of a dice. No, our life is planned and the major episodes of our life is predetermined. Don’t be discouraged by what you are experiencing, think of your troubles as difficult classes that you must summon up the effort to pass. Learn how to analyze your situation by reading, The Problem is the Solution – 7 Life Lessons Sent to Teach and Test You. B was given a marvelous gift, the opportunity for him to truly understand why he is on earth and what is waiting for him when he returns to the real life, the spirit life. For most of us, we never are given that message so directly. We must examine the world around us and search for it ourselves, for that is part of the test in our lives. We must discover for ourselves that we are more than temporary souls, who decompose back to earth after our allotted time. We are immortal spirits who live on and on. We spend eternity gaining knowledge and helping others. We are blessed to be here on earth, so we may one day ascend to where we belong. Learn more about what people discovered in the spirit realm and what has been revealed to us by Spiritism, how we are immortal souls, what heaven and the different levels are in my book, The Spirit World Talks to Us – 12 Accounts of Near Death and Other Experiences. you will have many of your questions answered! Explore the spirit realm in depth, read the first book of a series of three about the numerous revelations spirits told the Rev. G. Vale Owen in England in the early 1900’s. What you will discover will change your outlook on life – Heaven and Below – Book 1 of Spiritism – The Spirit World Revealed to an Anglican Vicar. Kardec, A. (2015). Spiritist Review, Journal of Psychological Studies – 1858. United States Spiritist Council and IPEAK. Xavier, F. C. (2010). Action and Reaction. Brasilia (DF), Brazil: International Spiritist Council. Xavier, F. C. (2011). On the Way to the Light. 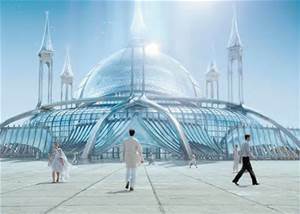 Brasilia (DF), Brazil: International Spiritist Council.